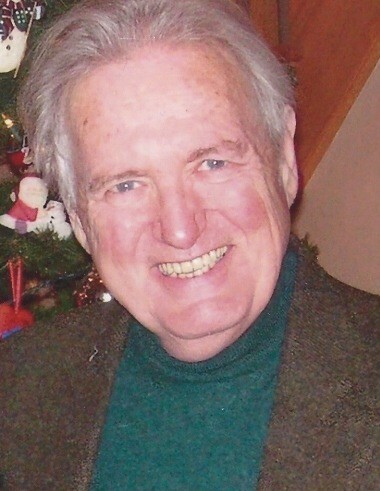 John Carroll Walsh went home to be in peace with the Lord on April 13, 2019. Born on August 22, 1942, in Highland Park, MI to two loving parents Virginia Catherine Walsh and John Nicholas Walsh. He was the first of five siblings and adored by many, especially by his grandmother Ma Mary. John was very smart from a young age and had a keen sense of humor. He spent the majority of his life in the suburbs of Chicago, Illinois. He was a true patriot and enlisted in the Army to fight for his country in 1963-1965 during the Vietnam War. Stationed in Munich, Germany as a Radio TT Operator ranked Private E-1 where he was awarded the Good Conduct Medal. John was passionate about government, politics, history, and especially injustices. Graduating from Fenwick High School, he went on to receive his masters in Political Science and History at Northern Illinois University. He assisted in many political campaigns in his community and worked in various different factions of public service for the Township of Lyons. A lover of all cultures, especially his Irish heritage, he made his first trip in 2017 to Belfast, Ireland an inspiration to his music and writing. John traveled all over the world with his two favorite travel companions his granddaughter Layla Barnett and only child and Gabrielle Walsh. John was a man of vision and values. An advocate for truth. Honest and compassionate. Bold and humorous. Unafraid and classy. An inspiration to all. He loved his family and loyal friends. John was a faithful friend, son, brother, uncle, father, and grandfather. He will be missed by his daughter Gabrielle Elise Walsh, granddaughter Layla Brianna Barnett, sisters Marlaine Selip and Colleen (Joseph) Pettrone, brother Thomas (Linda) Walsh, nieces Jamie (Lule) Dyasi, Erin Selip, Rachel Walsh, Kelsey Pettrone, great-niece Marley Dyasi, nephews Jonathan Sturgis, Patrick Walsh, Joseph and Riley Pettrone, great-nephew Kaleb Dyasi, chosen family Kim & Janie Rogers, Jasmine Martinez, Terrance Walden, Zakirah Bruce, Jim (Mary) Selip, and Meghan Selip, friends Denise Likens, Tom Konchalski, Sean McDermott, Simmie Ruffin, Steve Landek and many more. Welcomed in heaven by his mother Virginia Walsh, father John Walsh, brother Patrick Walsh, ancestors, and friends. A visitation will be held on Tuesday, April 23 from 4 PM – 8 PM with a reflection service at 6:45 PM at Adolf Funeral Home, 7000 S. Madison St., Willowbrook, IL. Friends will meet Wednesday, April 24 at St. Cletus Catholic Church, 600 W. 55th St. LaGrange, IL 60525 for a10 AM funeral mass. There's still time to send flowers to the Visitation at the 7000 S. Madison St. Willowbrook, IL 60527 from 4:00 PM to 8:00 PM on April 23, 2019.